Deep Blue Sea - Sperm Whale, Physeter Macrocephalus, Kaikoura, New Zealand coast. Able to hold its breathe for more than an hour at a time, the sperm whale can dive to the depths of the deep blue sea. Researched evidence confirms that the sperm whale can dive to at least 10,500 feet or 3,200 metres into the deep. They feed on bottom dwelling ocean life, and therefore must be able to get to the bottom of the deep blue sea. It is also thought that the whales are able to dive at an amazing 550 feet or 168 metres per minute. 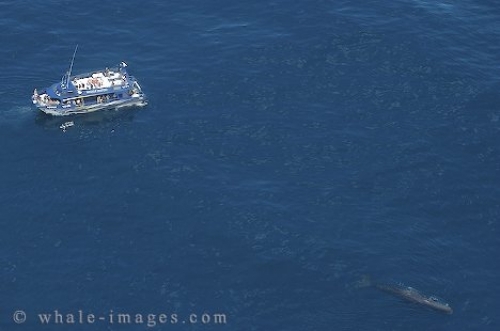 If you are in Kaikoura, New Zealand, make sure to go on one of the Air Tours, it is very impressive to see sperm whales in the deep blue sea, especially beside a whale watching boat.